Running Start is a co-ed exercise program for all age groups that incorporates the proper technique of warm-up, stretching, calisthenics, and aerobic exercise tailored to your personal needs. The classes allow everyone to increase or maintain their fitness level in their own way. In addition, we offer a swim program with shallow-end aerobics and lane swimming. A clinical exercise physiologist facilitates this program. Regular physical activity improves your cardiovascular system, muscle tone, and flexibility, as well as reduces the risk of heart disease, the number one killer of adults in the United States. 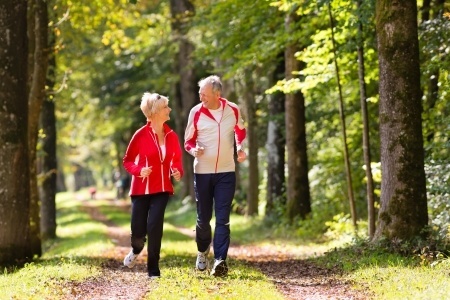 If you increase your physical activity level, you will improve your quality of life. You'll look better, feel better, and have more energy to enjoy your leisure time.